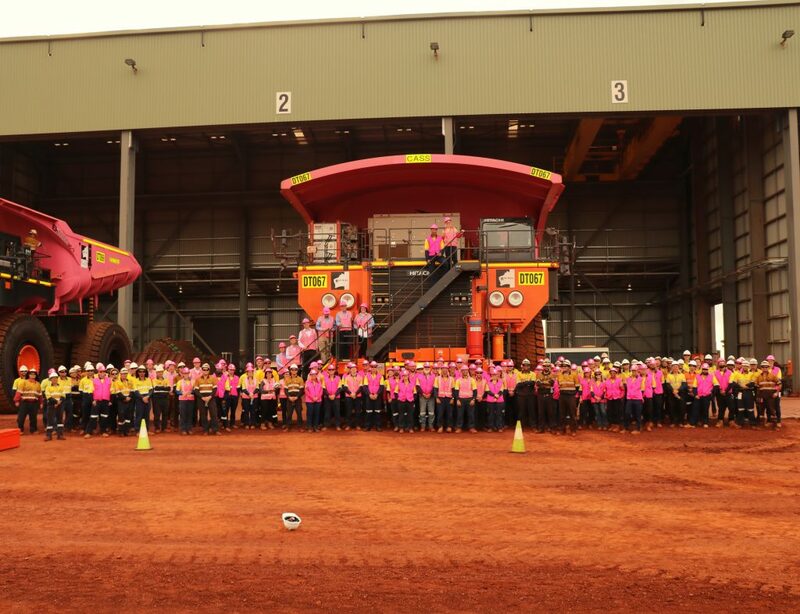 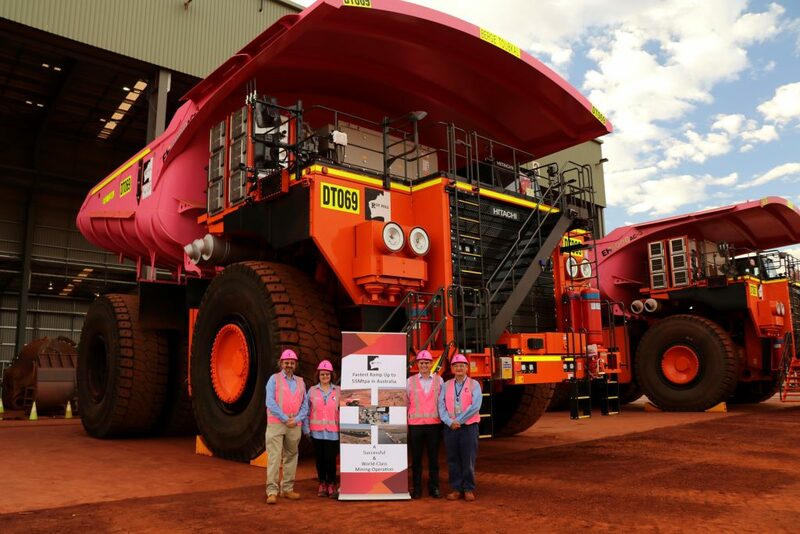 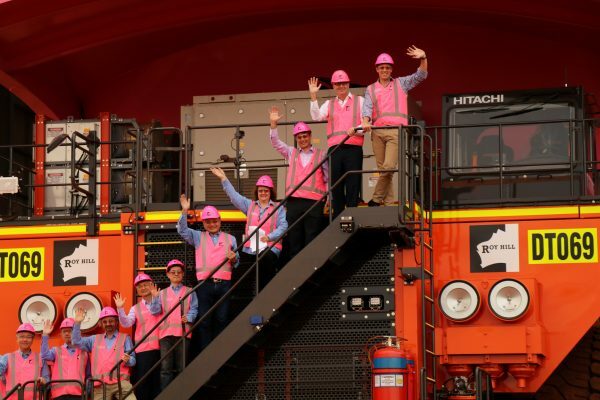 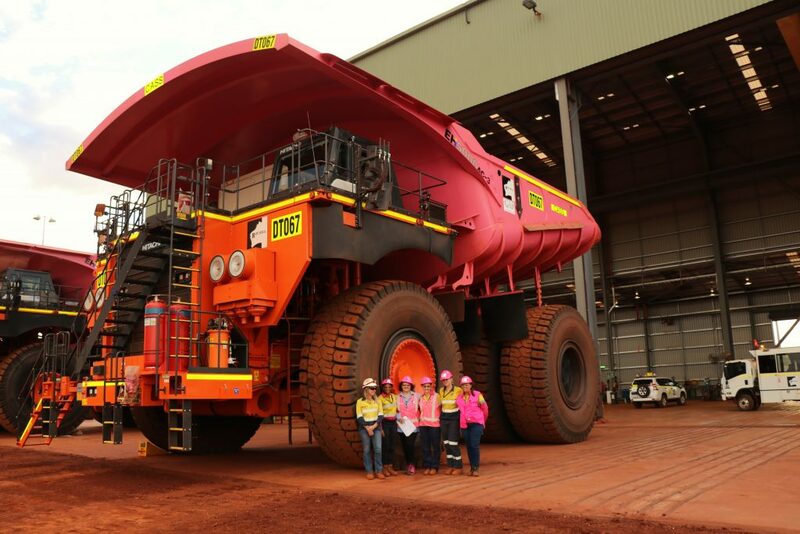 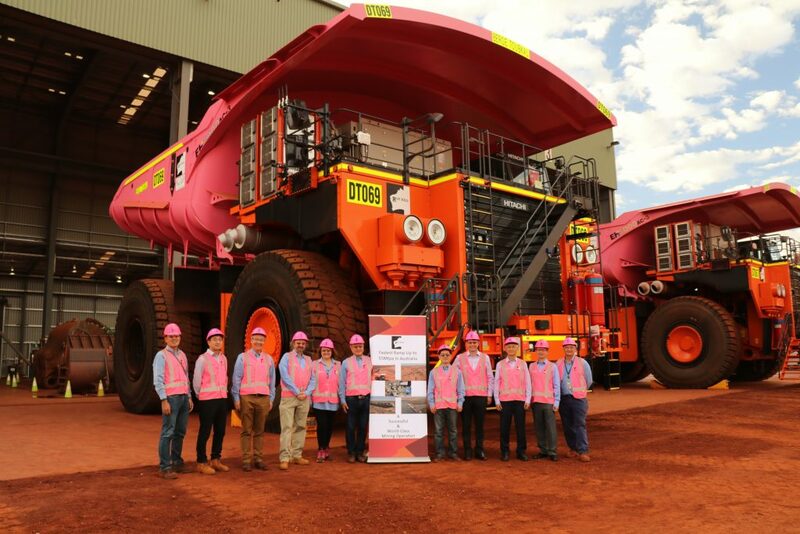 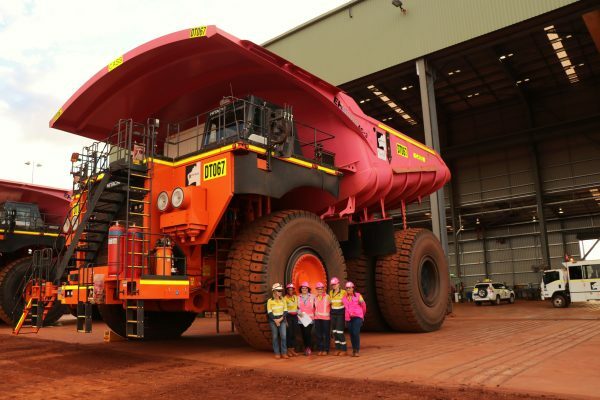 With much excitement and red dust, Roy Hill today launched its fifth fleet of pink mining trucks. 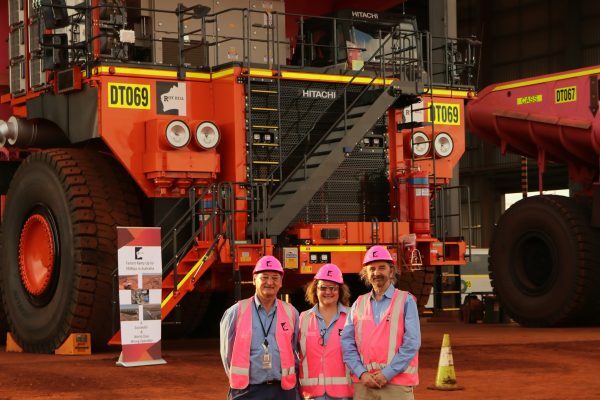 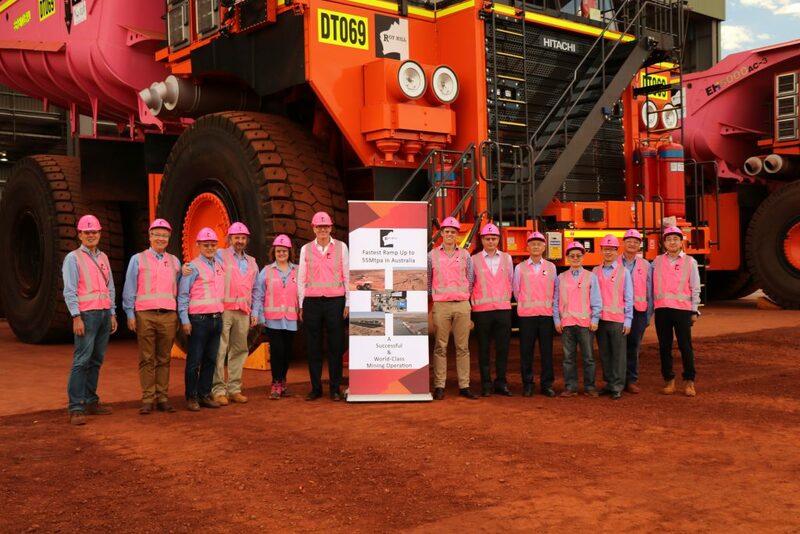 Mrs Rinehart, other HPPL and Roy Hill executives, along with executives from Roy Hill’s minority owners Marubeni, POSCO and CSC were in attendance. 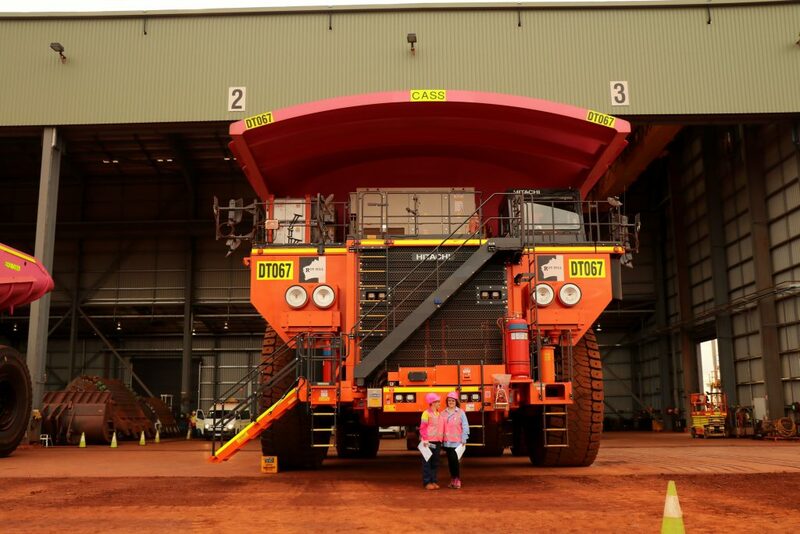 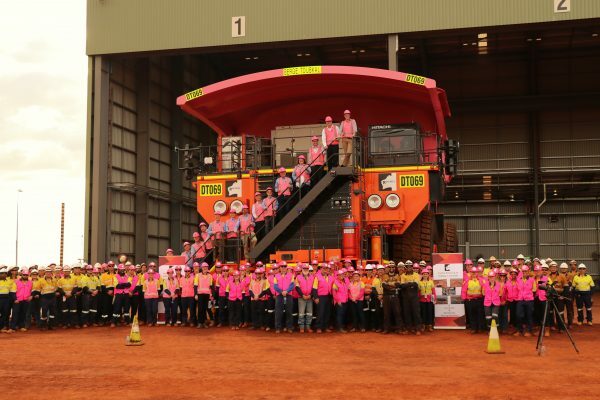 Roy Hill’s mining trucks are painted pink in support of breast cancer patients and our wonderful women at Roy Hill. 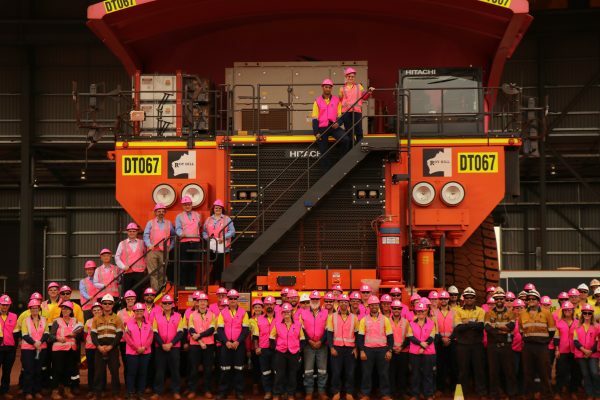 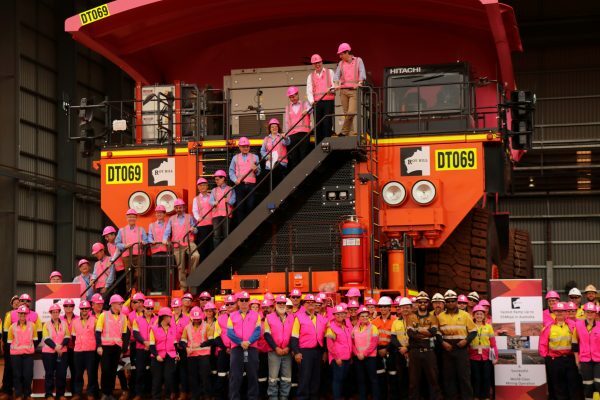 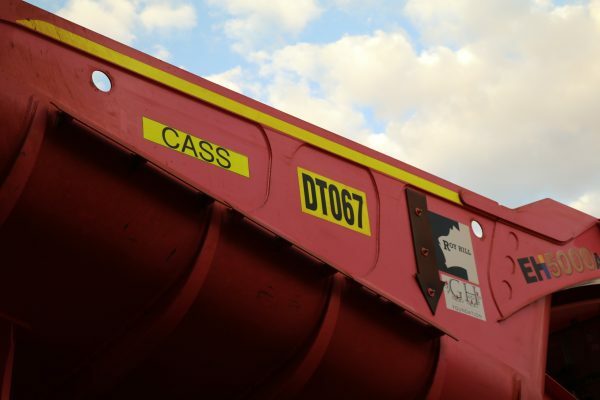 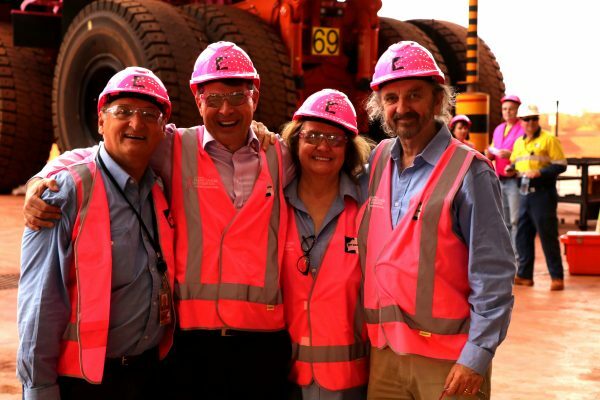 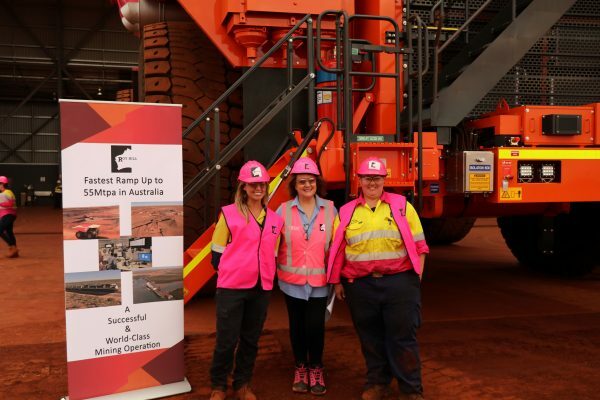 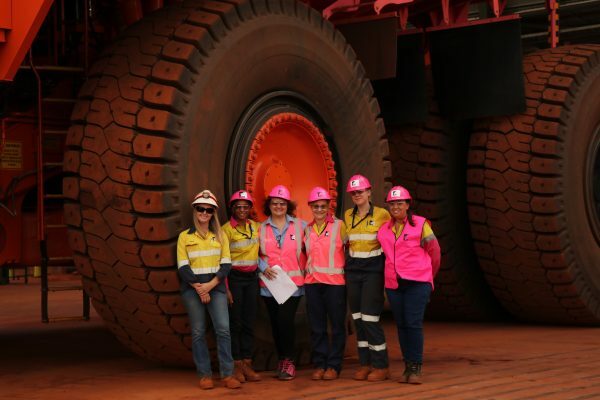 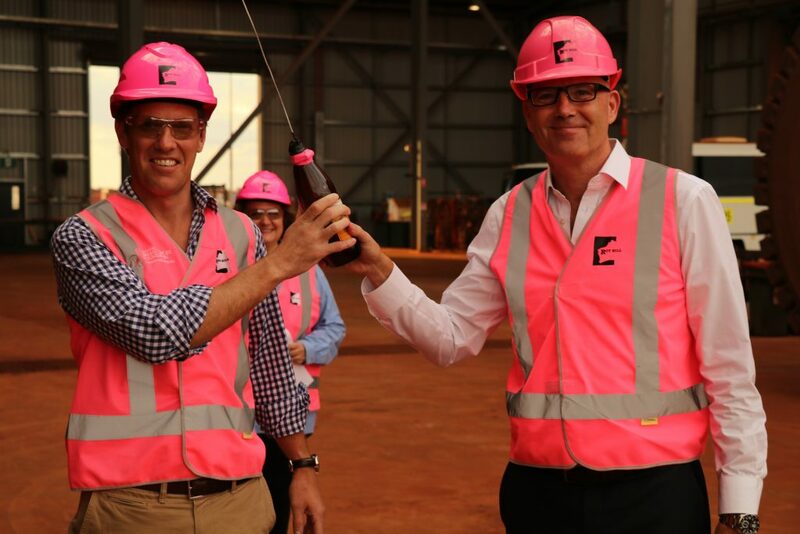 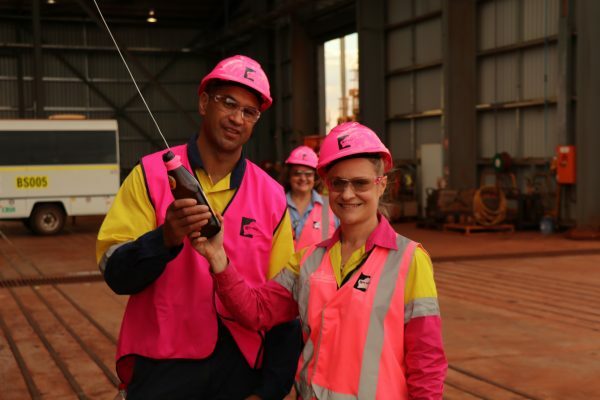 The first pink truck christened was ‘Berge Toubkal’, named after a 210,000 DWT Newcastlemax ship, currently visiting Port Hedland. 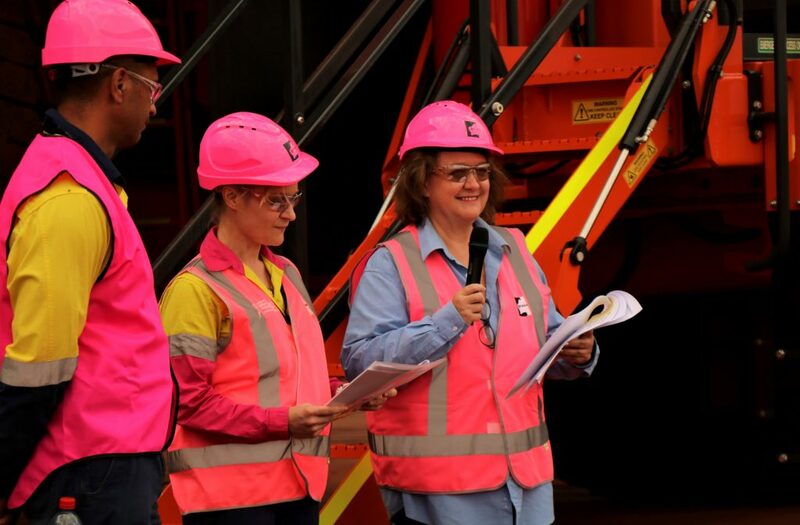 Mrs Rinehart was honoured to be made Godmother of this ship at a ceremony in China last year and this ship carries Roy Hill’s iron ore to ports around the world. 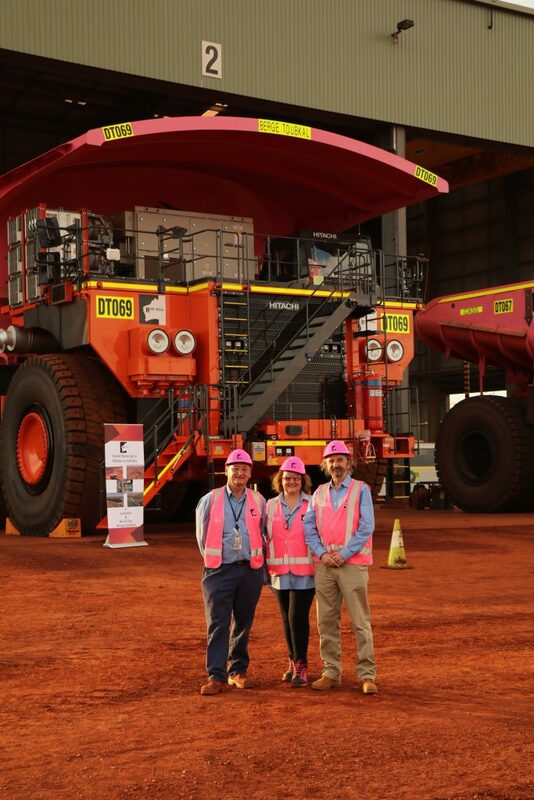 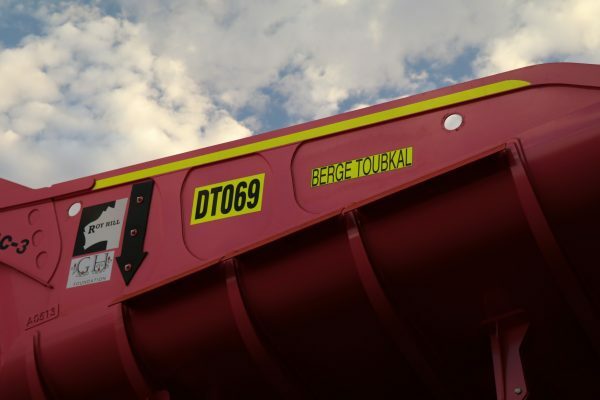 We were delighted that James Marshall, CEO of Berge Bulk and Duncan Bond, CCO of Berge Bulk, were with us to christen and launch a truck with the Berge Toubkal name on it. The Berge Toubkal is the largest ship to be berthed at Port Hedland for Roy Hill ore. The second pink truck christened today is named after Cass Ropata, one of our Roy Hill employees who has survived breast cancer. 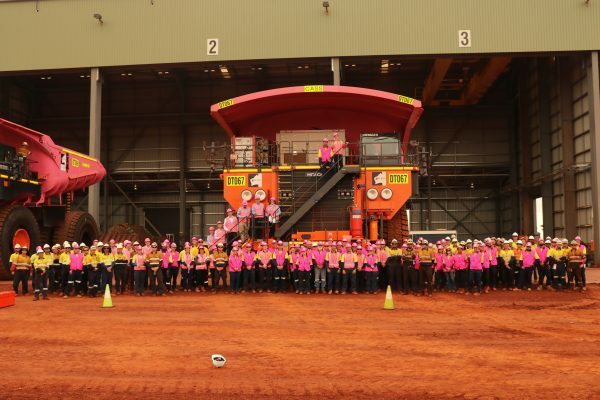 Today’s launch follows on from Roy Hill’s inaugural pink trucks launch in 2016 which was a first for Australia, and combining with staff fundraising, matched by Roy Hill meeting those financial efforts, a first for the world. 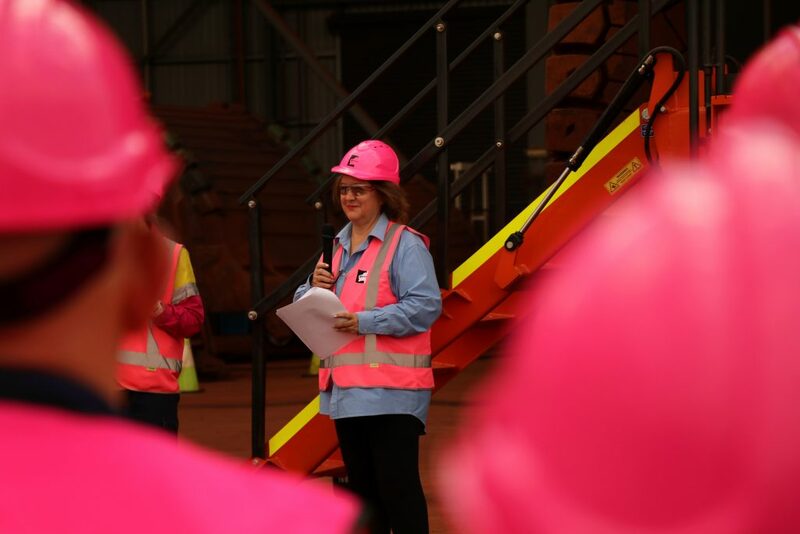 As Mrs Rinehart said in her speech, she hopes other companies will follow this important initiative. 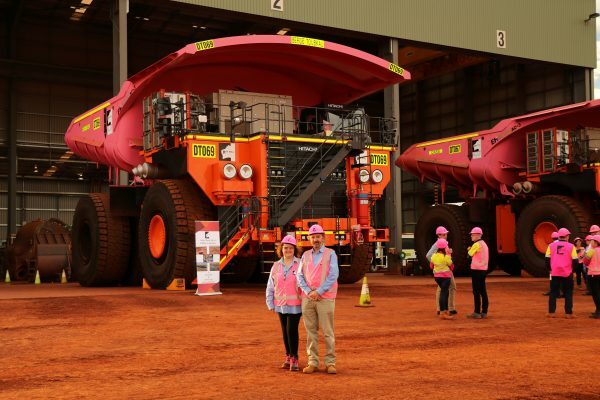 Very best wishes to our Aussie swimmers and fine role models at the Hancock Prospecting Australian Swimming Championships!